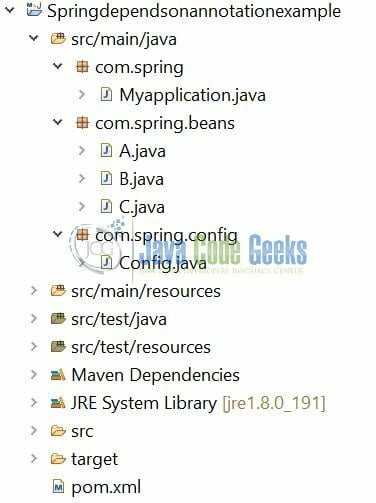 In the Spring framework, programmers can force the IoC container to initialize one or more beans. In this tutorial, we will explore the @DependsOn annotation. The @DependsOn annotation in spring forces the IoC container to initialize one or more beans. This annotation is directly used on any class or indirectly annotated with @Component or on methods annotated with @Bean. Now, open the Eclipse IDE and let us see how to implement this annotation in the spring framework! Here is a systematic guide for implementing this tutorial in the spring framework. 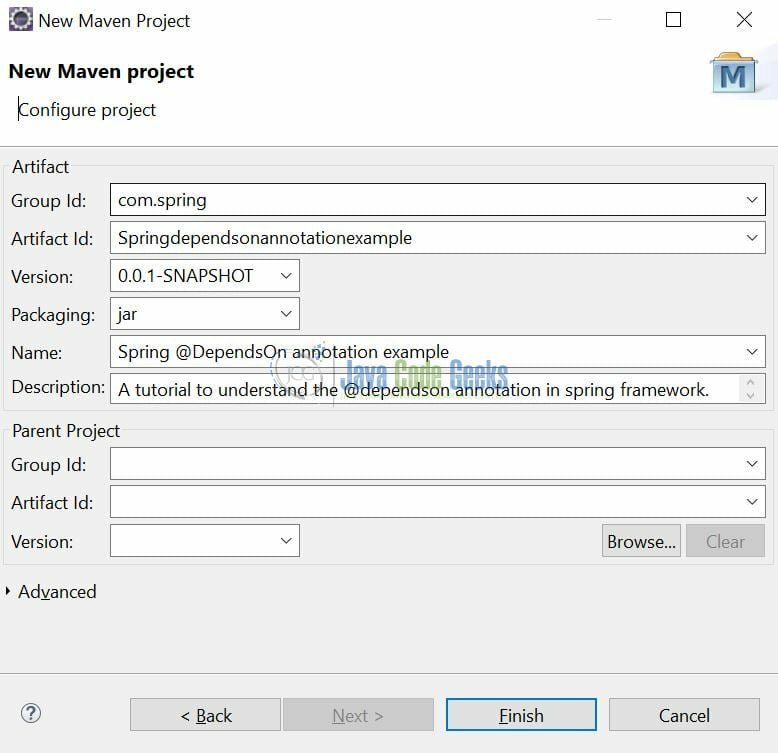 In the New Maven Project window, it will ask you to select a project location. By default, ‘Use default workspace location’ will be selected. Select the ‘Create a simple project (skip archetype selection)’ checkbox and just click on the next button to proceed. We can start adding the dependencies that developers want like Spring Boot etc. Let us start building the application! Add the following code to the bean definition. 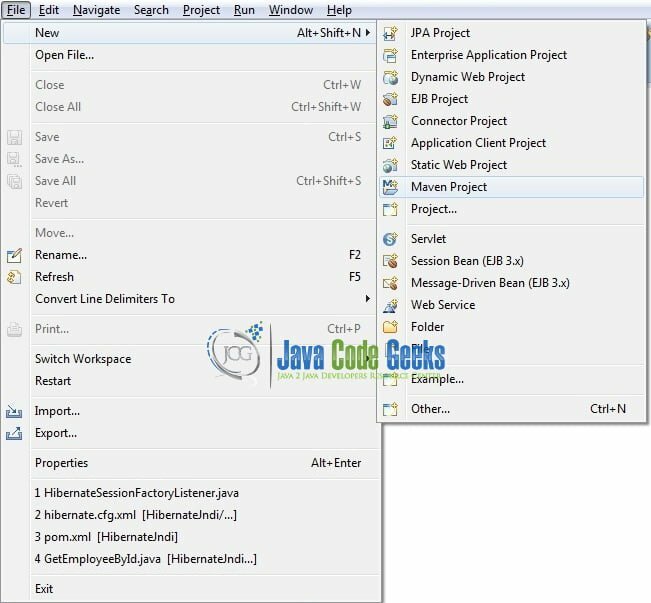 Add the following code to the Java-based configuration class. Add the following code to the main class. // Closing the context object. 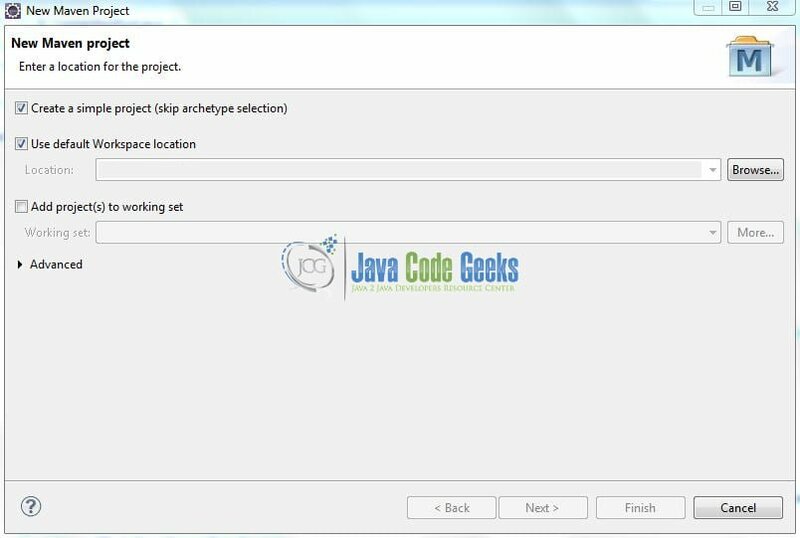 To execute the application, right click on the Myapplication.java class, Run As -> Java Application. Developers can debug the example and see what happens after every step. Enjoy! Inside doSomething() method of 'A' bean. Inside doSomething() method of 'B' bean. Inside doSomething() method of 'C' bean. This post defines the implementation of the @DependsOn annotation in the spring framework and helps developers understand the basic configuration required to achieve this. Developers can download the sample application as an Eclipse project in the Downloads section. This was an example of Spring @DependsOn annotation for beginners.